Whether you like to chill out and lay on the beach all day or get sweaty, wet or active doing other leisure pursuits there are plenty of activity holidays around. Spain is a mountainous country with great mountain biking, quad tracks or motorbike routes. If the air is more your thing then what about a hot-air balloon trip? With more than 300 days of sunshine a year in Andalucia it is the perfect place for paragliding, parachuting or learning to fly a microlight or small plane. If you prefer speed then hire a porsche or lambourgini or maybe a bugatti and pootle around the country lanes or get up some speed on one of the Formula 1 tracks or off-road in a 4×4 Land Rover. Whatever you want to do it you will be able to on your holiday in Spain. What about skiing, yes even in Andalucia the south of Spain you can ski. In Granada province you can ski in the morning and sunbathe on the beach in the afternoon and top that off with a night-time visit to the Alhambra or Mirador de San Nicolas. If watersports appeal more there’s river rafting and canyoning or jet-ski, sailing, kite surfing or wind surfing or just enjoying the Mediterranean Sea. Have you ever fancied horse riding on the beach or on a mountain top, rock climbing, caving? Or something more sedate like a tapas tour, wine tasting, or an art or photography course. 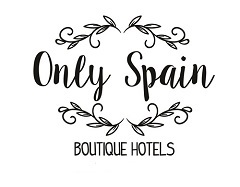 Let us help you plan your perfect luxury holiday in Spain via our sister site Only Spain. See the page of links for Spanish Activities.